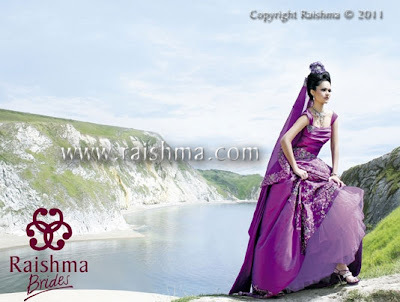 When you think about asian bridalwear by Raishma, you probably get images of beautiful east-west fusion gowns like the one above. 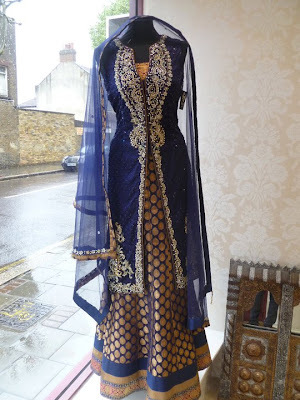 However, on a recent visit to Raishma store on Green Street in East London, I found something entirely different! 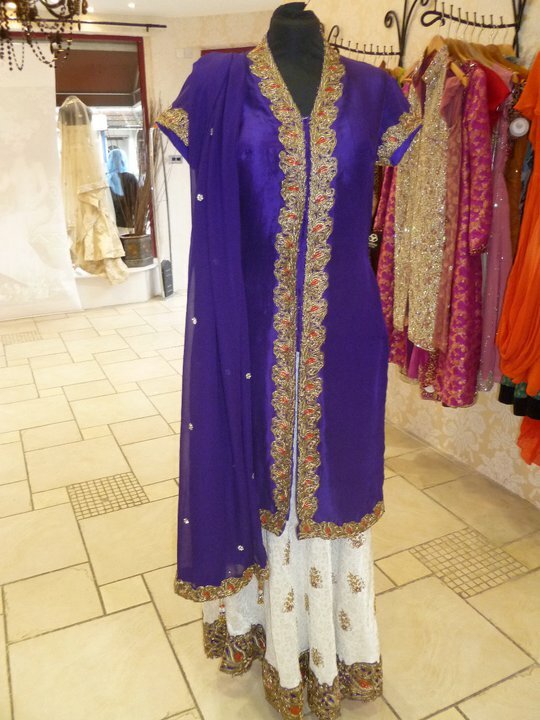 It was this outfit above which caught my eye whilst flicking through her album of client photos. It immediately stood out to me as this was a side to Raishma's work which I'd never seen before. Perhaps I've spent too much time looking at photos from Pakistani designers, but I'm really starting to like these long kameez designs and I'm pleased to see that more asian fashion designers in the UK are creating outfits which follow this trend, because not all brides have the time or the resources to get their outfits from abroad. I'm also quite liking the jacket-style tops at the moment like in this design above.